If there was only one fishing tip I could give anyone it would be to try your best not to disturb the water you're about to fish. When you find a target of where you want to cast always check the path of your back cast. You usually need just as much room for your back cast as your forward cast. Are there branches you might hook? Sometimes you can find a hole between the branches and get a tight loop through there during your back cast. If you can't do that move to a position so nothing is impeding your back cast. The next thing is following through on your cast after it has hit the water. I can't tell you how many times I've seen someone cast off target and instead of following through on the drift they rip the fly out of the water and recast. I don't know about you but I have never found a way to rip a fly half way through a drift without making a sound. Many times there's a bloop sound or a noise that is anything but natural. If a fish is in sight you might get away with this once but definitely not twice. Even if the fish happens to not spook it definitely knows something isn't right. Let's say you see a fish from shore and it seems that it hasn't seen you yet. You could cast to the fish from your location but if you could get in the water you'd be able to cast to the fish easily. What do you do? At the last fly show there was a seminar by Ossie Ozefovich. The talk was about how trout see underwater. Ozzie has done a ton of research on how trout react to fishermen. During his talk he explained that most fish see two ways. They have a monocular view from the side and a binocular view from the front. A light bulb went off when he went over this. I have always wondered why fish in high traffic areas never seemed to spook. There is a pond near where I live that has a nice population of bass. These bass can be seen from shore but they would spook once you stopped to look at them. I thought about it more and realized the bass saw people running or walking by and from their monocular view they could never tell how far away people were. If someone stopped to look at them that wasn't normal so the fish would turn to face the person on shore. This would give the fish a binocular view and they could judge the distance. Imagine if you saw a giant in your peripheral then turned so it was facing you. Once you turn the giant seems to be within feet of you. You'd spook right? Same with a a fish. If you see a fish and think you can get in the water and approach it without spooking it go for it. I think for the average fisherman this is too difficult a task, you'd be better off walking a head of the fish or standing far behind and making a cast. When wading calm water you need to manage the wake you make when wading. In calm wader every movement you make sends out a ripple. This can spook any fish that's leary. I never believed in this theory much until I fished The Smith River in VA. The river has many calm sections that almost look like glass on the surface. It's not uncommon to see fish rising but you'll notice the fish fairly rise close to where you're wading. I did my best to make as little wake and ripples as possible. No matter what I did the rises were always just at the edge of where my ripple receded and blended into the glass calm water. The fish obviously associated ripples with danger. I had to make sure I waded as slow as possible and try not to disturb the water as well as the rocks beneath my feet. Try this the next time you're in a swimming pool. Usually by the steps entering the pool there is a metal handrail that leads down the steps into the water. Have someone take a key or something metal and stand near the rail. Go to the deep end and go under water. While under water have someone tap the rail with the key. You can usually hear the tapping from the other side of the pool. Now imagine how the five rocks under your feet grinding together sound as you're wading. In fast water with the other ambient noise you can probably get away with it. In calm slow water it's tough. A fish needs to feel safe to give you the best chance at catching it. 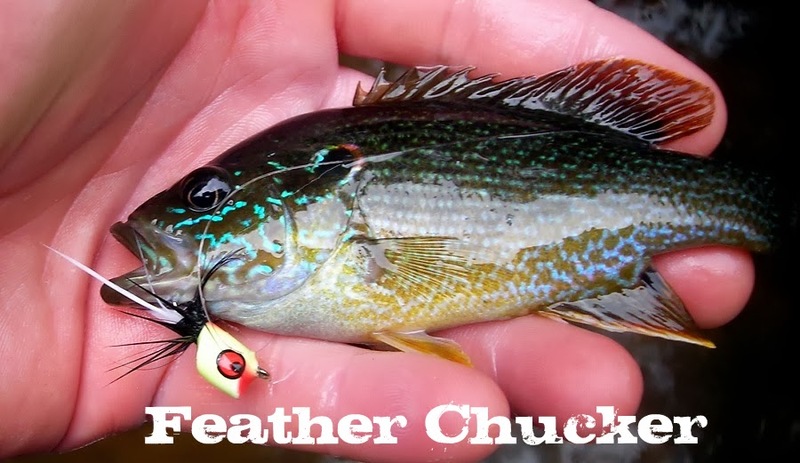 I believe if a fish is comfortable it will feed even if your fly doesn't match the food sources or your presentation isn't the greatest. The fish will hit the fly out of curiosity if nothing else. Think about how you're going to disturb the water before you fish, I grantee your hook up rates will increase. Many people ask me how the fishing is near Raleigh. I never know how to answer. Usually the person asking the question is a fly fisherman and their question is mainly based on trout fishing. I wouldn't say NC is the greatest for trout fishing but what it lacks in trout water it makes up for in variety. I could just say you can fish for trout and smallmouth in the mtns then drive 3hrs and fish for drum and flounder on the coast. NC Wildlife has allowed anglers more variety than that. They've stocked scattered lakes around NC with striped bass and are discussing stocking red drum. From Raleigh you have access to 4 lakes all with a reputation for good fishing when it comes to a specific species. I wouldn't say Shearon Harris Lake is known nationally. It should be though. It produces more 5lb and larger bass than most other lakes in NC. The key to the big largemouth is the hydrilla grass and Nuclear Plants near the lake. The plant releases warm water year round allowing the fish to keep feeding and never really go dormant. There is also a slot limit which has kept the bigger fish in the lake. Locally the lake gets a lot of hype because of its bass fishing but what I found last year is the white perch fishing is even better. There were some days during the summer I was trying NOT to catch white perch and failed. They seem to be everywhere and if they're not where you're fishing at the moment just wait 5min. Jordan Lake is mostly known for its great crappie fishing. It became even more popular when it was stocked with stripers and hybrid wipers (striped/white bass). A fish kill has quieted the rumors and great fishing reports about stripers but the large crappie stories are still told. The lake holds enormous bass that are finicky and difficult to catch. The lake is very large and you can spend a day fishing just one finger. Lake Mayo is known to some as mainly a pickerel lake. The lack of development near the lake has kept it very clear. It has a ton of hydrilla grass. Good bass are caught there often but the lakes main claim to fame is pickerel. Falls Lake has a little of everything. Big bass, catfish, crappie, carp and a nice white bass population. The lake is bigger than Jordan and you can spend a day just figuring out where to fish. If the lake isn't enough the tail water has a run of shad and stripers in the spring. You can see when it comes to fishing there is a pretty good variety close to Raleigh. You would have to drive 2hrs west or east for trout or flounder but really you can't complain.